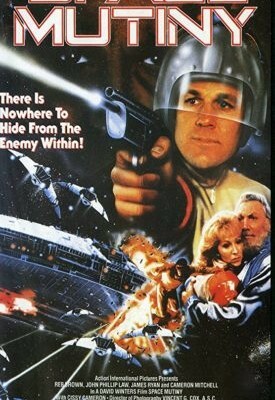 This action, adventure, romance directed by David Winters and Neil Sundstrom is one of the funniest movies on the 1980s. This film is set in the future intra-galactic space-colony-ship Southern Sun which is on a multi-generational trip to a new settlement. Tired of his current fate, the head of the Enforcers, Kalgan, (John Phillip Law) causes an explosion in the Southern Sun just as a ship is docking and it explodes. Ryder (Reb Brown) survives the crash, along with his partner’s daughter, Lea who is clearly attracted to Ryder. After certain deliberations and actions taken, Ryder becomes the new Security Chief on the ship (replacing Kalgan who is assumed dead) just as the Southern Sun encounters space pirates. A valiant battle easily defeats such pirates, and makes Commander Jenson (an enemy) voluntarily give up control of his ship. As the movie progresses, Lea and Ryder go through a plethora of charades to be together including Lea pretending to seduce a security guard only to steal his uniform for herself to escape, and Ryder acting on his own authority to knock out Enforcer’s. Nearing the end, with the mutiny seemingly thwarted, Ryder and Lea make preparations to get married. However, the film ends on a cliffhanger as we see Kalgan had actually survived the initial explosion.